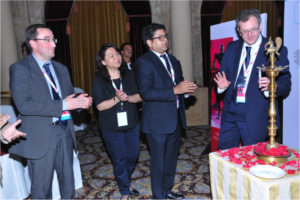 CNT Expositions and Services LLP – First Sinterline Conference in India showcases pioneering Polyamide materials for Additive Manufacturing. 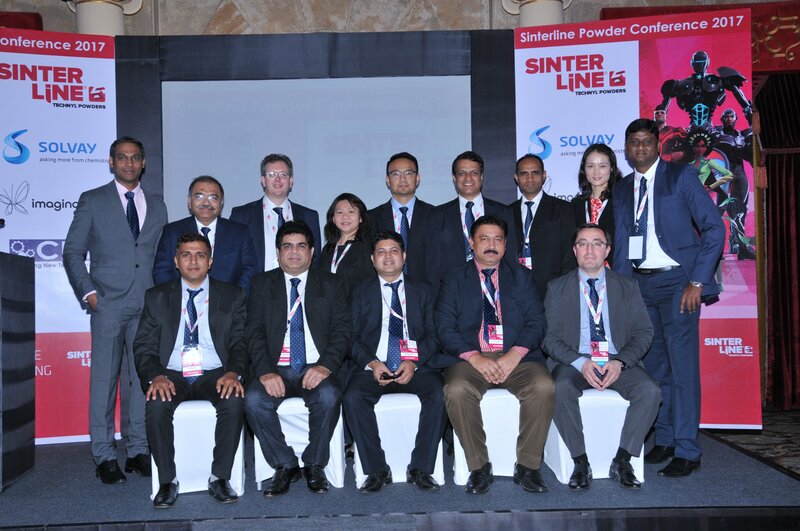 First Sinterline Conference in India showcases pioneering Polyamide materials for Additive Manufacturing. Making the transition from parts design to physical production has always been a challenge in the manufacturing industry. Recent advances in Additive Manufacturing now to stand to change the game significantly by bringing unprecedented prototyping flexibility, speed, and robustness within the easy reach of all. Sinterline® Technyl® Powders are the first polyamide 6 powder range for selective laser sintering (SLS). This solution yields the mechanical and thermal performance required to make the 3D printed parts printing a compelling option for prototyping and low to medium volume production. Solvay along with Imaginarium – India’s largest Rapid Prototyping and Rapid Manufacturing company and Event Partner, CNT – a pioneering enterprise promoting additive manufacturing – hosted the first Sinterline Conference in ITC Windsor, Bengaluru on 11th April 2017 to showcase pioneering polyamide materials for Additive Manufacturing to a select audience from the automotive, aeronautical, consumer and industrial product manufacturers. The conference began with the lamp lighting ceremony and Mr Dilip Raghavan, Partner, CNT welcoming the audience and putting in perspective the need for deeper engagement from the industry with the material community for further development for the additive manufacturing industry. Mr Peter Browning, VP Performance Polyamides – Eng. Plastics GM, Solvay, delivered the welcome address for the evening. He emphasized that “Take this technology as an industry and if we can use to increase speed, offer mass customization and offer new opportunities for our customers, which they feel is impossible, then additive manufacturing can go a long way in adding value to current business’s”. 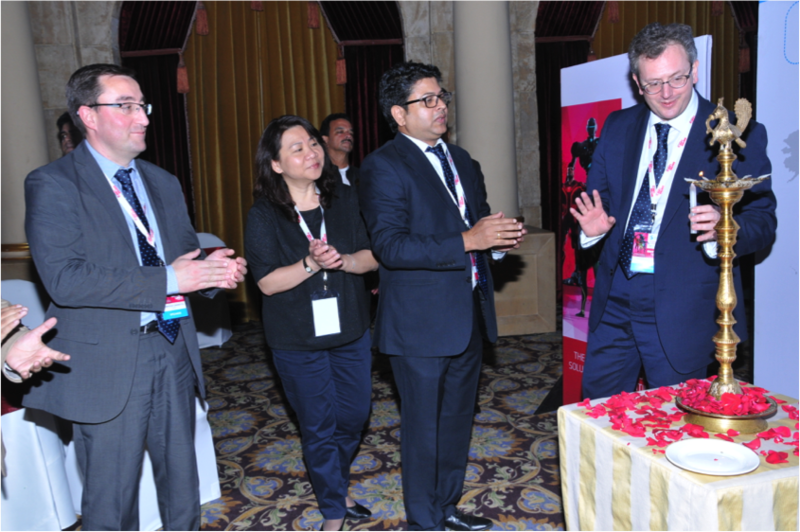 This was followed by a presentation from Mr Dominique Giannotta, Global Sinterline Project Leader, Solvay. who enlightened the audience with a global AM overview on usage of materials and delved into technical details and case studies on the benefits and applications of Sinterline a Pioneering Polyamide 6 solution. Mr Giannotta’s presentation was well received and let to an intereactive Q & A session with constructive discussions. 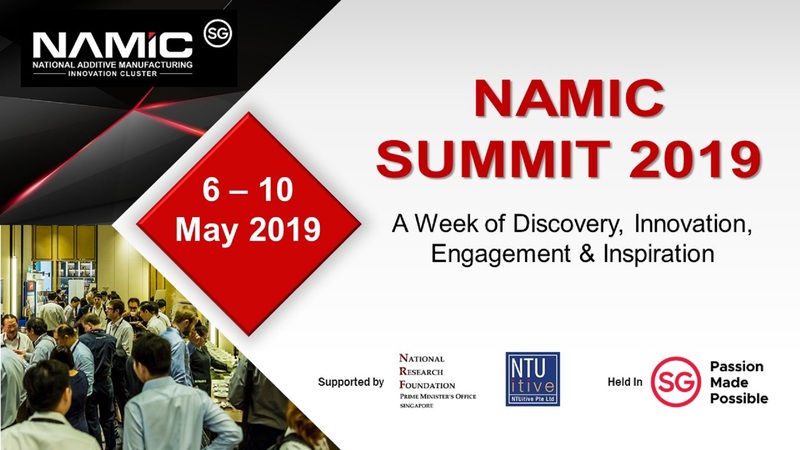 Nishant Shah, Director, Imaginarium shared his perspective as a leading additive manufacturing service bureau in India and also presented case studies where they have used Sinterline Technyl Powders for manufacturing for a few customers. The Automotive OEM community was represented by B.Thej Kumar, GM – Product Development and Quality, Toyoda Gosei on stage and he shared important insights on the requirements of an automotive manufacturing from 3D Printing. Overall the conference saw the various key stakeholders of the industry including material manufacturers, service providers and OEM’s converging to understand the opportunities AM can create and further more learn about the Sinterline Technyl range of material solutions for SLS printing. The conference concluded with a networking dinner with cocktails. Solvay Engineering Plastics Business Unit is the global specialist in polyamide-based engineering plastics, with more than 60 years of experience in the development, manufacture and marketing of a complete range of high-performance materials under the Technyl® brand for demanding applications in automotive, consumer goods and electrical markets. With a growth strategy bolstered by six production sites worldwide, the Business Unit employs its expertise and innovation capabilities in order to serve the needs of its customers more closely through a global network of technical and R&D centers. Learn more about the Technyl® brand at www.technyl.com and follow us on Twitter @Technyl. Imaginarium is India’s largest Rapid Prototyping and Rapid Manufacturing Center They provide prototypes to an assortment of industries from Jewry, engineering, automotive, architecture, consumer goods, etc. With their diverse range of state-of-the-art equipment, they offer customers complete solutions. With over a decade of Rapid Prototyping experience, customers can rest be assured that Imaginarium can meet your needs.